First and foremost, we’d like to congratulate CJ the German Shorthaired Pointer, and his owner, Valerie, for winning Best in Show at Westminster 2016! This is an awesome accomplishment for the breed! However, with this remarkable recognition, can come negative consequences. GSPs will be in high demand, and backyard breeders will be intent on breeding. In a few months to a year, many of these pups will be given up to rescue, or worse, because a German Shorthaired Pointer is not suited for the many families that “just want one” because they fell in love with the breed from watching a show. What people saw at Westminster was THE perfect example of what German Shorthaired Pointers are made of: athleticism, grace, intelligence, intensity and energy. CJ’s performance surely did not happen naturally, or “just because”…this dog has been in training his since he was a young pup! German Shorthaired Pointers are very intuitive, and very HIGH energy dogs. To channel that intensity takes a LOT of training and patience from a person who is very experienced with the breed. The German Shorthaired Pointer (GSP) is a versatile hunter, capable of high performance in the field and in the water. One of the most energetic breeds, the GSP is a hunting dog by nature. Clever, eager, and willing to please, it is very fond of its human family. Dominance and energy levels vary from puppy to puppy, but those bred for working in high-performance field competitions usually require more activity than the average GSP. However, all GSPs are very high energy dogs who need a lot of daily mental and physical stimulation. Those who do not get the daily workout they need will literally “bounce off the walls!” The GSP needs an owner who can provide appropriate, calm, confident, and consistent training. GSPs crave structure, and enjoy having a “job” to do. If this breed lacks in either exercise or leadership, it can become frustrated, and develop separation anxiety, and possibly become destructive. Due to their strong prey drive, GSPs generally do not do well with cats or other small animals. However, well-adjusted, stable minded GSPs who receive enough mental and physical activity along with a balance of consistent leadership will get along with other dogs and cats. This breed can be reserved with strangers if not socialized well. This breed is not suited to life in a kennel, and is not recommended for apartment life. GSPs do best with a large yard and an active, athletic family, dedicated to fulfilling the breed’s drive to “work.” The breed is generally good with kids, but caution must be exercised around small children. Due to their eagerness, unintentional injuries from small children being knocked over may occur. (PLEASE NOTE: Proper introduction of children to any breed, and teaching children appropriate behavior around dogs in general, is essential. NEVER leave any dog unattended with an a young child). GSPs thrive on human interaction, and love their humans very much – sometimes to the point of being a “velcro dog” (following your every step around the house). Due to high prey drive, GSPs are sometimes not very cordial with cats and other small animals. They can be trained to leave them alone and share home space, but their hunting instinct may interfere at times. When raised as a puppy with cats and other small animals, such as toy breeds, GSPs often do well. However, caution should always be used with any other small pet companions. GSPs may be able to jump any fence that is lower than 6 feet tall, and some have been known to clear even a 6-foot fence. Under exercised, bored GSPs are great escape artists. Be prepared for an imperfect lawn to say the least. Even established, thriving grass will be worn to dirt with the GSPs foot traffic. Maintenance of the GSP is minimal compared to many other breeds, but there are still some areas that require attention.. The GSP’s short, sleek coat requires minimal grooming. Despite its short coat, the GSP does in fact shed! Their dark hair shows up on the light items and their white hairs on the dark articles! Also, due to their short hair length, it can become embedded in some fabrics and carpeting and difficult to vacuum out. Regular brushing as well as the occasional bath will help reduce shedding. Their strong, fast-growing nails should be trimmed regularly with a nail clipper or nail dremel to avoid overgrowth, splitting and cracking. Because of their folded ears, airflow is often not adequate, which can lead to a buildup of wax and debris, which can further result in an infection. Ears should be cleaned with a mild solution (talk with your vet about which solution is best, and the proper method to clean the ears). Teeth should be brushed regularly with a toothbrush and toothpaste formulated for dogs. Because the breed is subject to bloat or torsion, they should not be fed immediately after running or other demanding exercise, nor should they be allowed to run or exercise for at least an hour after eating and drinking. The ideal evening mealtime would be after the day’s exercising and activities are through for the day. GSPs are a very high energy breed. They tend to keep a puppy-level of energy throughout most of their lives! GSPs always want to be at the center of things, and are always up for physical activity like running, swimming, organized dog sports — anything that will burn some of their boundless energy while spending outdoors time with a human family member. A bored GSP can be quite mischievous to say the least. This eager breed does best with regular consistent exercise, positive training, and lots of love. Like all breeds there may be some health issues, but the majority of German Shorthaired Pointers are healthy dogs. Regular veterinary care and proper feeding are vital to your dog’s health. Yearly DHLPP vaccinations, rabies shots, a monthly heart worm and flea/tick preventative regimen, and in many parts of the country a Lyme Disease vaccination, should not be neglected. Follow the advice of your veterinarian for shots and monthly preventatives. If you plan to purchase a puppy, be sure to do your research and work with a responsible breeder. Good breeders utilize genetic testing of their dogs to reduce the likelihood of disease in their puppies. A MUST! If new to the breed, it would be beneficial to work with another individual who is knowledgeable about the breed. The GSP is a quick learner, and very eager to please, and will work hard for positive reinforcement. They are not generally stubborn, but can at times be quite creative. Due to their high intelligence level, the biggest challenge is to keep them focused, and not let them get away with “inventing” variations to the exercise being taught. Because of their extreme sensitivity to people, the trainer must always be watchful of their own body language and reactions to issues that come up during a training exercise. A calm demeanor, and providing quick, clear rewards for desired behaviors, will enable you to be successful in your training. Not all types of training methods, or instructors are right for every dog, no matter what the breed. So be sure to educate yourself, and carefully match your training methods with the personality, characteristics, and needs of your dog. If you would prefer to purchase a registered puppy rather than rescue, the GSPCA provides a breeder directory. However, please be aware that the listings here are paid classifieds. The breeders are not recommended by the GSPCA. The breeders listed, do however, agree to abide by the Code of Ethics adopted by the GSPCA. It is the Breeder’s responsibility when it comes to the health and temperament of the puppies and dogs offered for sale. Remember, if you choose to use this directory, you must still do your research, and decide for yourself which breeder is most suitable. 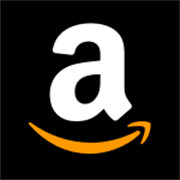 Click HERE to access the directory. 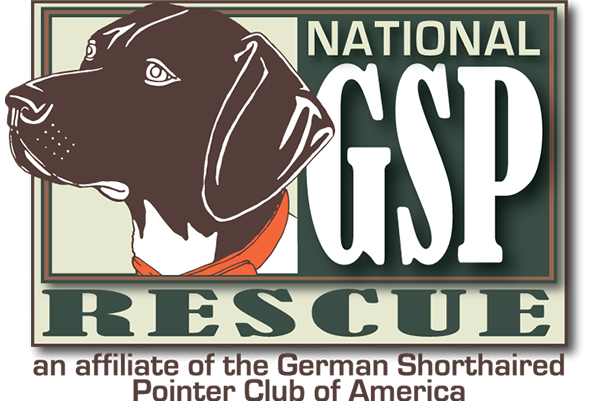 Another suggestion is to contact your local GSP Rescue. Often, the rescues can provide you with a list of reputable breeders they would recommend. They strive to meet the breed standard (the written description of how the perfect dog of that breed should look, move and act). They breed because it’s their passion, with the goal of improving the breed, and they don’t breed solely to make money. They actively compete in conformation events, field trials and other sports. Winning ribbons and trophies proves their dogs possess physical traits and talents worthy of breeding. They only produce a few litters each year. They don’t mind spending time educating buyers about not only the advantages but disadvantages of the breed too. They guarantee their puppies’ health for reasonable periods, and agree to take them back, for whatever reason, if an owner can no longer keep them. If you have read this post, you most likely have have decided to welcome a GSP into your home, making he/she a part of your family and your life. This is a lifetime commitment that, like any relationship, should not be taken lightly, and can also present its share of challenges. Take your time and do your research – you and your new 4-legged family member will be happy you did! **Information in this post was taken from breedinfo.com, German Shorthaired Club of America , and The American Kennel Club , and is meant only for a generalized summary of the breed, and to put as much information about the breed in one place in hopes to educate potential first-time GSP owners/adopters. Please be sure to do your own research on this breed before adding a GSP to your family.